El Capitan is the Sto. Niño image that is on the altar of our Sto. Niño Church. It is said that this image was donated by a rich man who had pledged to donate a bigger and more beautiful image of Sto. Niño to Barrio Buscada of Basey. 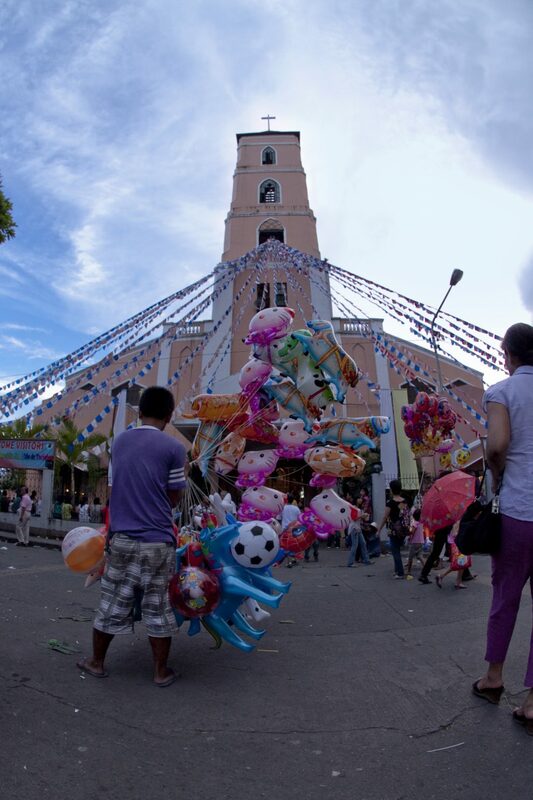 Kankabatok (now Tacloban) was under the parish of Basey, and since Kankabatok was a bigger barrio that Buscada, it was decided that Kankabatok be given the bigger; more beautiful image. This exchange is commemorated every year with Balyuan rites. It was said that El Capitan was sent for repairs to Manila in 1888. It was shipped back to Kankabatok in early January 1889. It was going to be needed for the fiesta which at that time was celebrated on the 3 rd Sunday of January, similar to other Sto. Niño celebrations like Sinulog. Unfortunately, the ship caught fire and the crate containing the image had to be thrown overboard. Then in May 1889, a letter arrived saying that the image was found near Mindoro. Arrangements were made to have the image returned to Tacloban. It arrived June 30, 1889, and then a miracle happened. Around this time, cholera had gripped Kankabatok, and people were dying “by the hundreds”. When El Capitan arrived, many sick people were eager to see it or get to touch it. It is said that these sick devotees were instantly cured of their illnesses. 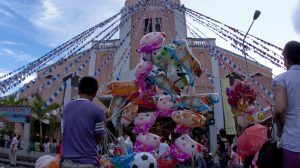 They say that this is the reason that the fiesta celebration for Kankabatok was changed to be celebrated on June 30 instead of the 3 rd Sunday of January. Today, El Capitan is taken down from the altar once every year and is taken on a land and fluvial procession around Tacloban, and to Basey and back. The altar is seen empty only once a year, as El Capitan journeys around the home of the people it had once saved.